Creation of website. Online store with content filling. Photographs of production. My small funny project use - Lego Ev3, VB.Net, Android smartphone. By purchasing a new monitor often need find a program to test for dead pixels, a scan or frequency response. This will help my web resource for checking the monitors. Just in click on link and press F11 to switch to full-screen mode. "Skype Push to Talk" - this program allows you to assign any button to activate the microphone in Skype. Recommended for use in work and games. For more information and to download the program, follow the link. Developed based on the Google translator. For publications added comments, as a basis used JComment. Had to seriously edit the kernel JS and completely alter the visual interface. Blog on the home page is modified. Now it appears as a lego block. Web proxy browser is running in test mode - it allows you to open previously inaccessible sites. It involves the substitution of a proxy and content with the result must hide original host. 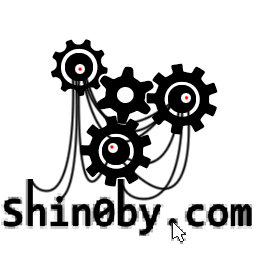 Launched a project shin0by.com. At the same time it saw the light engine of the new photo gallery powered Google picasa API, Zend and JQuery. There are still a lot of work, but the result is already visible, and this is encouraging.